It is a proud moment for Khao Kheow open zoo to announce that the winning photo of 2012 National Geographic Photo Contest was shot in this very zoo. 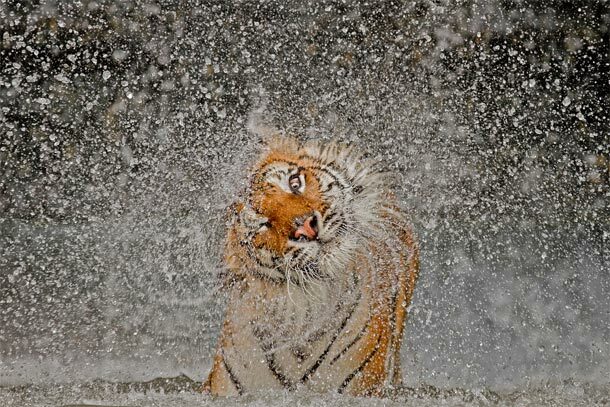 Truly an eye catcher Ashley Vincent’s ‘The Explosion’ is a picture of a full grown Indochinese tigress ‘Busaba’. She has been his muse for quite a few years now but this time Mr. Ashley Vincent wished to capture her in a manner never seen before. “I took to observing her more carefully during my visits in the hope of capturing something of a behavioral shot. The opportunity finally presented itself while watching Busaba enjoying her private pool then shaking herself dry. In all humility I have to say that Mother Nature smiled favorably on me that day!” He spoke with Nat Geo representatives. 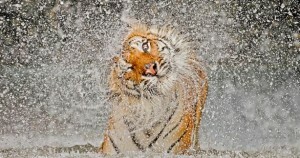 Rightly as the title suggest, the mighty tigress shaking of the water in all direction does look like a huge water explosion. Mr. Ashley Vincent has won the grand price of $10,000 out of the 22000 plus entries that flooded in from 150 different countries last year. It truly is a great honor and proud moment for all of us at Khao Kheow Open Zoo and we wish him a hearty congratulation along with continual future success.